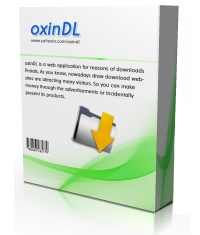 oxinDL is a web program for the creation of download-portals. As you know, torrent websites attract a lot of visitors. With whom, one by advertisement or the display and sale of one’s own products, is able to earn money. 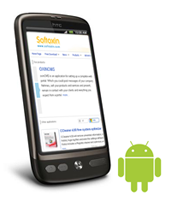 oxinDL offers, you a download portal with each and every desire. The optimised administrator site for the download portal enables you to input your posts with speed and ease. During the design process of oxinDL, all aspects of the design for the perfect web application were observed. 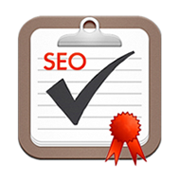 So that the internal search engine, the rendering of services and the functions could be their best. - creating an unlimited and nested post category. - assigning images to categories and posts. - showing the desired category symbol on the homepage. - automatically making a thumbnail. - offering a slideshow on the homepage. - enabling the administrator to customize the homepage and arrange the posts and categories on the homepage as desired. - taking multilingualism into account. - displaying similar posts on each page. - categorising post searches by name and category. - enabling users to leave feedback on a post. - allowing users to display their satisfaction by way of a star ranking system. - displaying a gallery for each post. You, as a user, will be able with name and password to access a dedicated site for users. Username: oxin Password: 123456 - making and sorting the indefinite pages. - producing unlimited menus, which the administrator will be able to sort according to his/her wishes. - creating surveys with any and every desired option and question. - analysing and managing the website traffic. - creating an email account for the administrator, there by allowing him to maintain a contact database. - searching through the posts and comments in the administrators account. - enabling the administrator by way of a support site, to share the instructions and information regarding the portal. - displaying the website to the administrator from the view of a customer, thereby helping the improve the customer experience. - offering the administrator a safe and secure WYSIWYG (text/HTML editor). The administrator is able to assign each post’s page its own web link, which is compiled from keywords. Moreover, the administrator is capable of entering further keywords and other metadata. - offering a fast and professional default template.